Next on The Scoop: Pix We Love: Is Blue Chip the Smexiest Smoosh-Face Cat Ever? Cats' natural activity patterns might appear to humans to be sleep disorders, but some serious medical problems can disrupt cats' sleep. Inspired by the Facebook page of Pepsi the REM Sleep Disorder Cat, my editor, Cat Dandy Keith Bowers, wondered whether feline companions can suffer from true sleep disorders and insomnia. He asked whether such disorders would be behavioral or medical in nature. I cannot state anything definitively about Pepsi the cat. HIs owners claim that Pepsi suffers from night terrors. I watched a video of one of Pepsi’s episodes and to me it looked like it could have been a type of seizure. 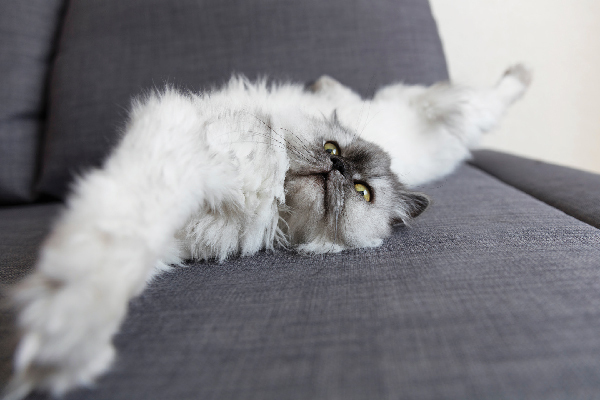 Do cats suffer from true sleep disorders and insomnia? The short answer is that nobody knows for sure. I am not aware of any electroencephalographic studies of cats during sleep. And I rather doubt that cats lie awake at night worrying about their big meeting the next morning, or about whether they made a fool of themselves during the previous night’s date. Nonetheless, the existence or nonexistence of true sleep disorders in cats is an open matter at this time. However, many owners of cats perceive that their cats have nighttime sleeping problems. This happens for two reasons. First, cats have the luxury of sleeping all day if they desire. Therefore, most cats lounge around during the day while their owners toil at work. Thus, during the night they have plenty of energy to run up and down the hall while their owners try to sleep. Second, cats are naturally crepuscular in nature. This means that they are most active for several hours before and after sunrise and sunset. Therefore, their natural hours of peak activity occur at what seems to most people to be the dead of night. For instance, 3 a.m. is only a few hours before sunrise for much of the year, but it is not a good time for most people to experience a cat attacking their feet through the covers. With that said, there are legitimate medical conditions that can disrupt cats’ sleep. I already mentioned my suspicion that Pepsi the cat might have some sort of seizure disorder. Seizures are common in cats, and they most commonly start when cats are asleep. Grand mal seizures are easy to recognize, but less dramatic petit mal seizures can be very difficult to diagnose. Cats who can’t breathe well will be reluctant to sleep. 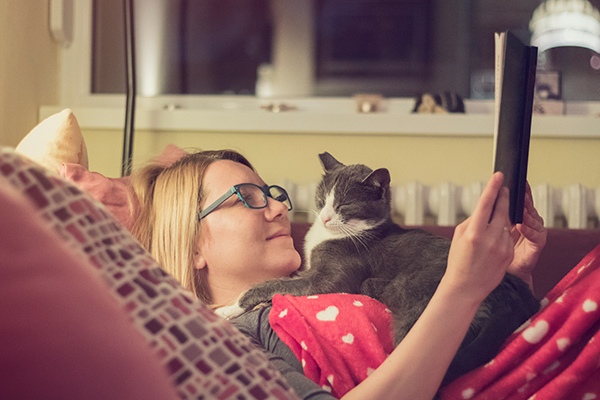 Cats may have trouble sleeping if they develop upper respiratory infections. So-called brachycephalic cats (such as Persians), with snubbed noses, are especially prone to such infections. Similarly, cats who suffer from heart failure or a condition known as pleural effusion (in which fluid accumulates between the lungs and the walls of the chest) also may be reluctant to sleep. Cats who have trouble sleeping due to respiratory distress generally will exhibit abnormal breathing. Abnormal breathing in a cat should always be treated as an emergency. Some elderly cats suffer from insomnia secondary to cognitive decline. This syndrome is poorly understood, but it appears to be similar to so-called sundowner syndrome in people with Alzheimer’s and other causes of dementia or cognitive decline. 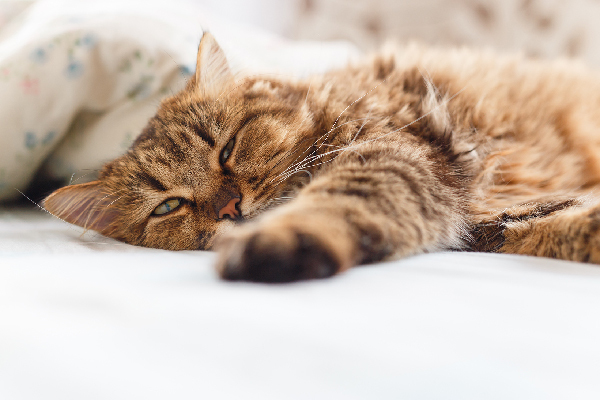 Finally, and most perniciously, a group of conditions collectively known as intracranial disease can cause cats to suffer from significant sleep disturbances. Brain tumors are among the most common forms of intracranial disease. Any type of intracranial disease can cause cats to exhibit behavioral changes that may include apparent insomnia. 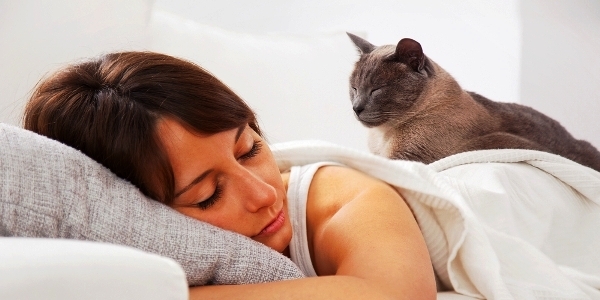 By now you may be wondering whether your cat’s sleep habits are normal or are cause for concern. When it comes to cats and sleep, I generally recommend that owners pay attention to major changes. 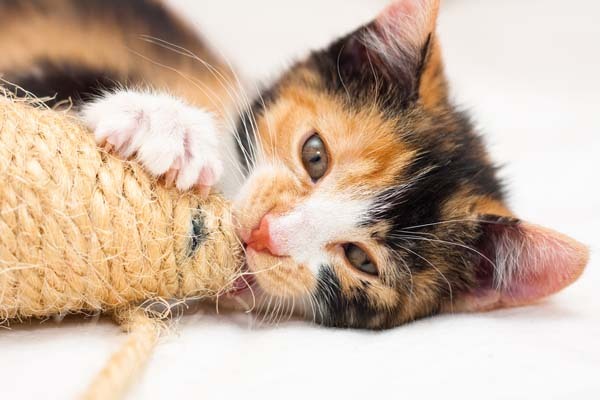 If your young cat has always been up most of each night and has slept for most of each day, then you probably don’t have to worry. However, if your older cat used to sleep through the night but now cries and can’t sleep, then a medical problem is possible. As always, when in doubt, the safest course of action is to seek care and an assessment from a veterinarian. Is Preventive Vet Care for Cats Really So Strange?